Lamp shades direct from the UK’s leading lampshade manufacturer. Imperial Lighting is the country’s leading lamp shade specialist, this family run business has over 50 years’ experience within the lamp shade and lighting industry manufacturing and supplying traditional fabric and modern hard shades. This site gives you the option to choose an off the shelf lampshade or decorative lighting of your choice, or alternatively the customer has the option to build their own bespoke lampshades where they can select the Lamp Holder, Material, Trim , Diffuser and Pendant fittings with a large range to choose from. They have had some great success and had the honour to work with the likes of Tesco, Mothercare, The Ryder Cup, Hilton, Ted Baker and the London Olympics 2012 to name just a few! 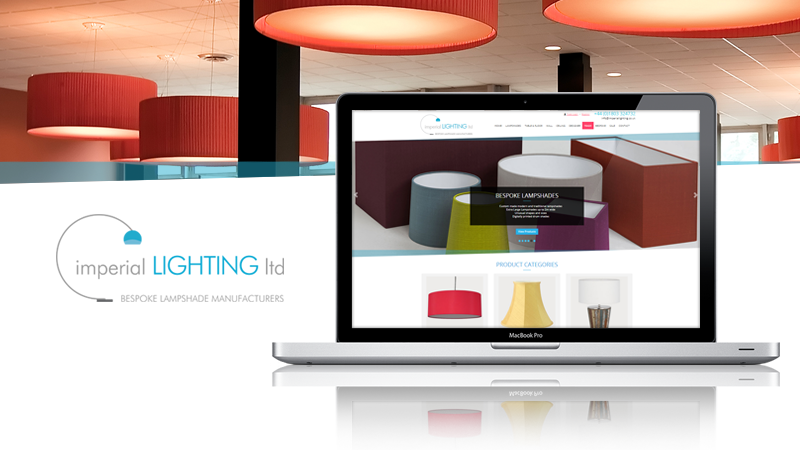 Imperial Lighting are one of our longest serving customers, and we hope this new site revamp continues to be successful and wish them the best of luck in the future.